Even for the busiest of parents, it need not be too difficult to teach your children to eat healthily. Once the kids learn the value of healthy eating, they’ll learn to appreciate nutrition and will start to want to look after themselves, taking the pressure off you. Something that is very important is getting off on the right foot in the process of teaching your kids to eat their way into a healthy lifestyle. Our first piece of advice may seem obvious, as it is part of any basic parenting tactic. It may also be the key thing you are missing in successfully teaching your children to eat healthily. It doesn’t matter if your children are still toddlers or are already teenagers, you must always set aside the time to have regular family meals. This might not always be possible for the busy parent, but believe us, it is the single most important thing you could do to guide your children to eat healthily. If you truly don’t have time to have regular meals with your children – perhaps you do shift work that means you always miss an evening meal – then you should treat the mealtime as if you were there. Even if you can’t attend a family meal because you’re a busy parent, you can make your parental presence felt in other ways. Perhaps pre-cook a meal, or at least provide instructions on exactly what your children should be eating, and when. That way, it feels like your presence is still there, even when you are not able to physically be there. But kids will learn based on the enforcement of the foodstuff you require them to eat. Family meals are a time for parents to introduce their children to new varieties of food and increase their palate to consume healthy foods. Children who are required to eat family meals are more likely to eat grains, fruits and vegetables; and are less likely to eat unhealthy food. Another trick about family meals is that you can make them appealing to your children by involving them in the meal planning. Whether you’re able to attend family meals or not, you should always stock up the pantry with healthy foods, so that your child has no excuse to want to eat unhealthy snacks in between meals. Younger kids will only eat what’s available to them at home or in school. As a parent, you can control what your child consumes during meal times and for snacks. Make sure that fruit and vegetables are part of the daily food planning, say for example, giving them a banana to take to kindergarten every day (or another piece of fruit, for variety). Be sure to serve vegetables with every meal, to aim for the five-a-day. Other things you should serve your children include lean meat and other protein sources such as fish, eggs, and nuts. Finally, you should keep the intake of fatty foods limited, and try to avoid serving fried foods. Being a busy parent means it isn’t always easy to make sure that our kids are eating healthily at all times, particularly when we aren’t there. 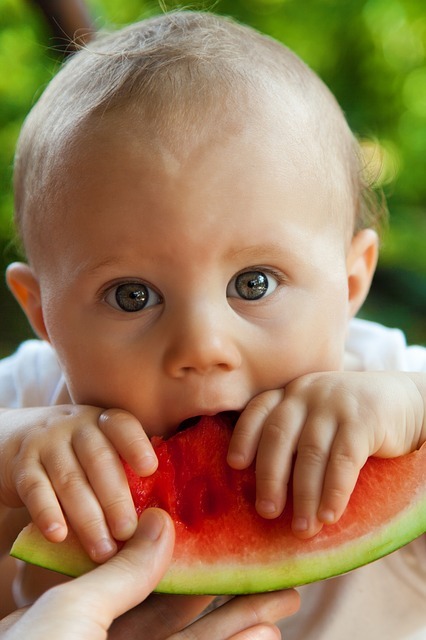 But you can follow these steps to try and facilitate healthier eating for your children. You can also consult with their school to check the nutritional requirements that your children are being fed at their mealtimes. If you show your kids what’s right to eat, even when you aren’t with them, then this should lead them to a healthier lifestyle.